Corey Campbell is the CEO and founder of Akamai Training & Consulting, a local company specializing in custom-programming to help companies develop their leadership and customer service skills. He brings 20+ years of experience in hotel operations, leadership, and learning and development. He has facilitated hundreds of Emotional Intelligence workshops to leadership teams across North America as part of Starwood Hotels & Resorts corporate Learning & Development team. 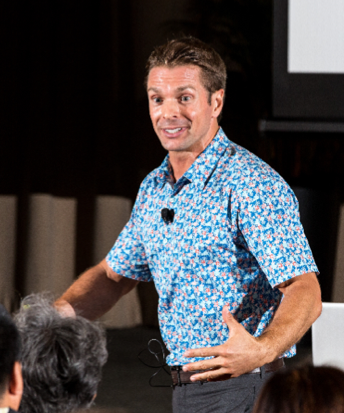 In his previous role as Complex Director of Training for the four Starwood Hotels in Waikiki, he helped to increase leadership, guest and associate satisfaction scores to industry highs. He is extremely passionate about leading the right way, and brings a wealth of real-life experiences into his workshops to enrich the learning and make it tangible. Emotional Intelligence (EI) is the cornerstone to how we act, think, respond and develop relationships. It is an important area of focus for family businesses that rely on reputation and word-of-mouth advertisement. 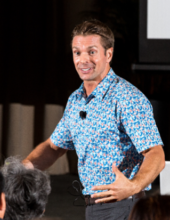 In Corey’s presentation to the Family Business Center of Hawaii, you will develop a deeper understanding of the four elements of Emotional Intelligence and how they impact your leadership style: Self-Awareness, Self-Management, Social-Awareness, and Relationship Management. You will explore the brain science behind emotional intelligence – that humans are actually wired incorrectly in order to respond rationally under pressure or stressful situations. You will gain an increased awareness of your, and others, primary behavioral drivers, emotional triggers, physiological responses to increased tension, and methods to control reactions properly. You will walk away with practical strategies and techniques to improve your personal EQ (emotional quotient), which will impact and improve every facet of your business and your life.